It was my privilege to read “Miracle for Jen” a true story written by Linda Barrick with John Perry. Following the evening service the Barrick’s invited family and friends over to watch a football game. But the Barrick family wouldn’t make it home that night. In fact, it would be over 3 months later before the family would be home together again. Unbeknownst to them, a drunk driver was barreling down road going 80 miles. The Barrick family was gravely injured when a truck ran over the family’s van. Having sustained multiple skull fractures and brain injuries Jen was not expected to survive the night. But God had other plans. “A Miracle for Jen” details the long road of recovery for Jen Barrick and her family. Jen remained comatose for weeks. Family and friends rallied around the Barrick’s and sacrificially loved them and helped meet their needs. Someone remained by Jen’s bedside 24 hours a day, praying, reading the Bible and playing worship and praise music. This was just the beginning of God doing an amazing work in the life of a young woman who loves the Lord and had fully committed her life to Him. This family would never be the same again. Their journey would not be easy. 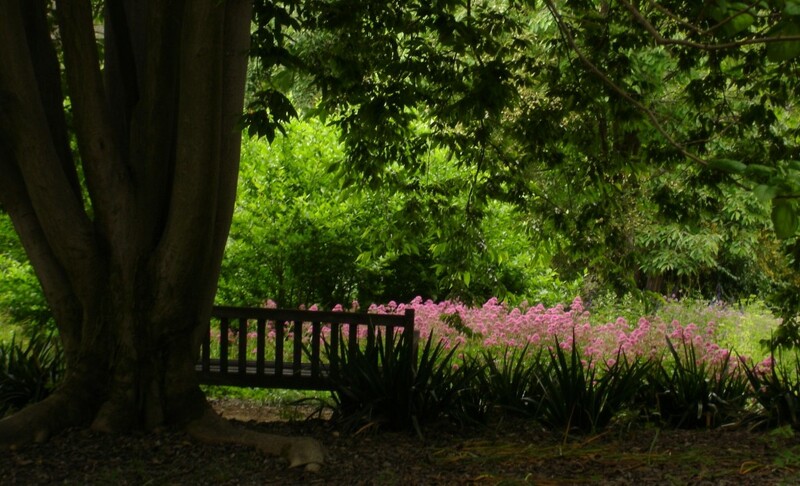 Each day there would be a choice to trust God and the work He was doing in their lives and depend fully on Him or to give in to pain, bitterness and unforgiveness and doubt God’s love. Linda Barrick shares openly and honestly about the struggles they faced as a family. It was a journey they never wished for, didn’t deserve and didn’t understand. It was their faith in God and His goodness that brought them through. 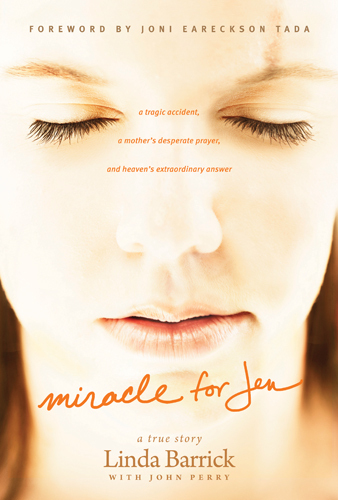 Through reading “A Miracle for Jen”, my faith was encouraged, strengthened and challenged. There were times I both cried and rejoiced. This is a wonderful book and I highly recommend it. This book is a keeper and one I want to read again in my own journey of life. Through the generosity of Tyndale House Publishers I am able to offer a certificate for one free copy of “A Miracle for Jen.” If you would to read this book, please leave a comment on this blog post. In one week, Sunday, April 1, 2012, we will draw one name to receive the certificate for the free book. I will contact the winner to get your mailing information and send you the certificate. Tyndale House has provided me with a complimentary copy of this book to review. I am under no obligation to give a favorable review. I am so glad the book was as good as their live presentation. The Lord used that night to encourage my own weary heart and remind me that there is always someone suffering more than me … and He always has a purpose!How fun that you get to review BOOKS! What a treat! Sounds like a wonderful book :)I just found your blog and wanted to stop by to say hi!Blessings to you.